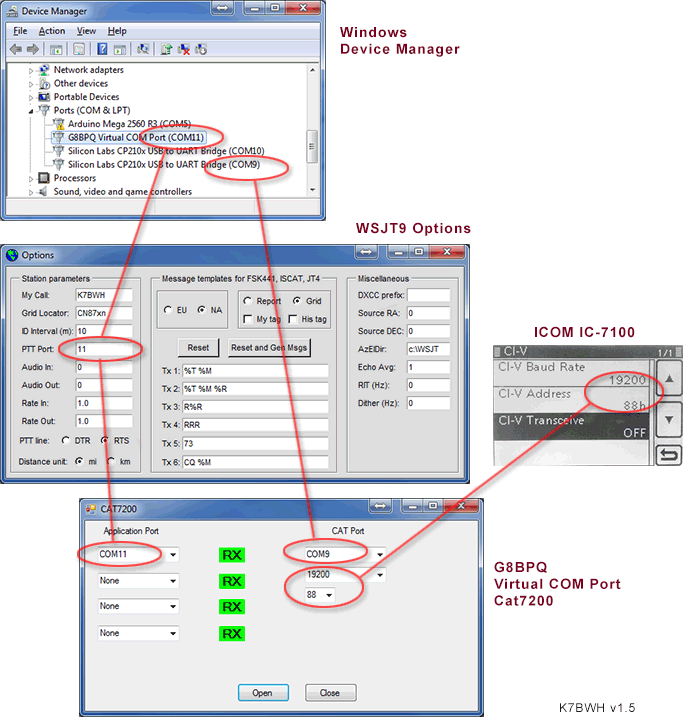 Learn how to install and configure "meteor scatter" software for the Icom IC-7100 using this tutorial from basics to advanced strategy. This page describes how to configure software to successfully connect radio to computer. Read daily operation to use meteor scatter after everything is installed and configured. This is my journey of discovery starting in November 2013, provided in the hopes of making it easier for the next person to find their way. Here's what we're trying to accomplish, after using the detailed instructions below. Install Windows drivers PC per Icom's instructions. 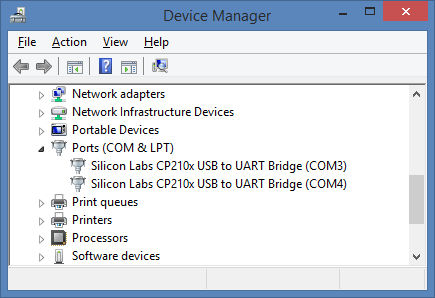 The process is typical of all USB driver installation. The IC-7100 must be turned on and remain connected for all the subsequent steps below. 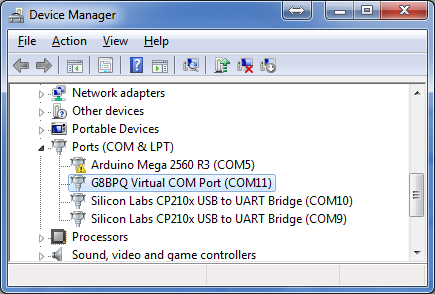 There should be two "Silicon Labs CP210x USB to UART Bridge" items. Write down the port numbers for later use. Version 9.7 r3639 is current at the time of writing (Feb 2014). Install to a directory such as C:\WSJT rather than the default. 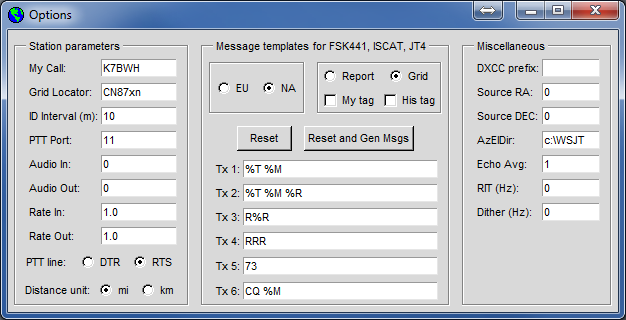 Note WSJT-X is more modern but it does not support FSK441. Join the WSJT Meteor Scatter Group email reflector on Yahoo. 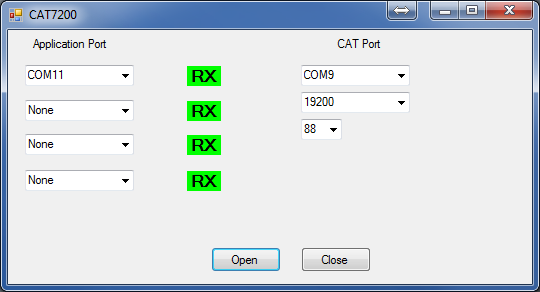 WSJT-9 software can only send PTT on COM port RTS (request to send). IC-7100 hardware can only listen for PTT on CI-V bus (communications interface 5). You must follow its "Add New Hardware" method to create the new port. In Windows 8, to install this unsigned driver you must reboot with advanced options to disable driver signature enforcement. Note the virtual port will have the next available COM port number, e.g., COM11. This will be used by WSJT as output for sending RTS levels for PTT. This will be used by CAT7200 as input for watching RTS levels. Write down this port number for later use. 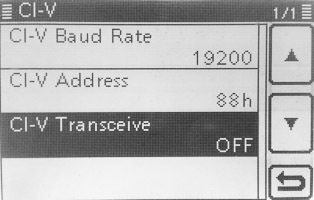 Hint: As a last resort, you can always push the microphone PTT switch at the same time as WSJT is transmitting.